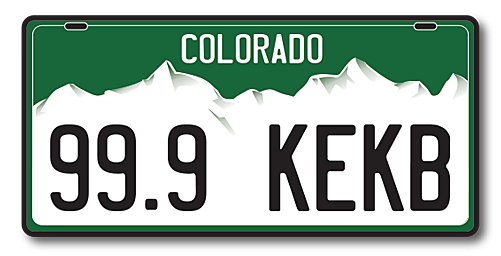 Join Traci Rock on Grand Junction’s 99.9 KEKB Sunday from noon to 6 p.m.
Join Traci Rock from noon to 6 p.m.
Coors Field Brings in How Much Food for the Rockies Opener? This year one of Colorado's College's beats out Harvard University and Princeton University among several others for being the Brainiest College in America. What in the moose is going on? Skiers not only have to be aware of avalanches but they need to be on the lookout for wildlife as well ... especially moose. Heartbreaking details of the last moments of Christopher Watts' two young daughters. Truly unbelievable. All I need is $50,000,000 I think it's worth the price, don't you? It's been a little over a year since the death of Colorado teen Maggie Long. A new website has been put together in hopes that it will lead them to her killers. Colorado Gov. Jared Polis summited a budget proposal to have government-funded full-day kindergarten this fall. Tim Tebow is officially off the market. What lucky lady gets to have America's sweetheart? There are more than four things to do in Colorado, but here are my top picks for this weekends excursions. What do places such as Tuscany, Italy, Miami, Chicago, Toronto, Canada, have in common with this spot in Colorado?